1. BEARDFISH : « King » (« +4626- CONFORTZONE » – INSIDE OUT MUSIC – 2015). 2. STRATTMAN : « No way home » (« LIFE OF THE BEHOLDER » – 10T RECORDS – 2014). 3. PINKROOM : « Seven Levels » (« INLOVED TOY » – CREATIVE FARM – 2014). 4. BJORN RIIS : « The chase » (« LULLABIES IN A CAR CRASH » – KARISMA RECORDS – 2014). 5. SOEN : « Pluton » (« TELLURIAN » – SPINEFARM – 2014). 6. 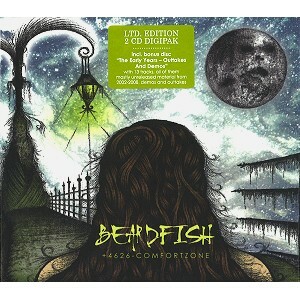 BEARDFISH : « Comfort zone » (« +4626- CONFORTZONE » – INSIDE OUT MUSIC – 2015). 7. SKY ARCHITECT : « Elegy of a Solitary Giant » (« A BILLION YEARS OF SOLITUDE » – GALILEO RECORDS / GONZO MEDIA GROUP – 2013). 8. LIGHT DAMAGE : « Touched » (« LIGHT DAMAGE » – AUTOPRODUCTION – 2014). 9. BIG BIG TRAIN : « Seen better days » (« MAKE SOME NOISE (EP) » – ENGLISH ELECTRIC RECORDINGS – 2013). 10. ENGINEERS : « Drive your car' » (« ALWAYS RETURNING » – K-SCOPE – 2014).